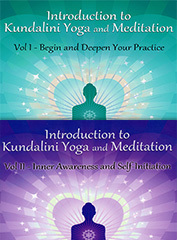 Introduction to Kundalini Yoga and Meditation contains, in this two-volume set, everything you need to know to begin your voyage of self-discovery into the magic of Kundalini Yoga. Save $9.95 off regular retail when you buy them together! Free shipping to our US customers. Guru Rattana seamlessly combines the essence of Yogi Bhajan with her own knowledge and unique insights, gained from almost 40 years of personal practice, study and teaching. Her wisdom illuminates your path, taking you deep within on a heart-centered journey of transformation and self-discovery, to a destination of self-love, inner peace and oneness with all. These books have been 15 years in preparation. Volume 1 - Begin and Deepen Your Practice, based on the original publication from 1988, has been completely rewritten from cover to cover. It contains a comprehensive and easy to follow but detailed explanation of the basics that we must all learn and perfect to raise our Kundalini and achieve higher consciousness. It contains kriyas and meditations to deal with all the common issues you may experience -- stress, addictions, depression, insomnia, spinal health, mental clarity, activating your navel center, and opening your heart. 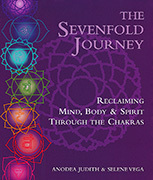 Volume 2 - Inner Awareness and Self-Initiation, helps you embrace and enhance your personal journey. Its enlightening exploration of the Ten Bodies and Chakras systems offers a lucid understanding of the physical, mental, emotional, and subtle energic aspects of the awakening process, and shows you how to evolve from ego to soul consciousness. For beginners they provide an invaluable guide, not just to starting your practice, but in its on-going refinement and development. For experienced students, they present you with many new aspects and possibilities. For teachers, they have been designed to help organize your classes, spelling out practical and understandable explanations that demystify the teachings for your students. They embody Yogi Bhajan's teaching, that "It is everyone's birthright to be happy." There is something for everyone, regardless of gender, size, age, health, or religion. Everyone can transform their lives and find peace and happiness within!